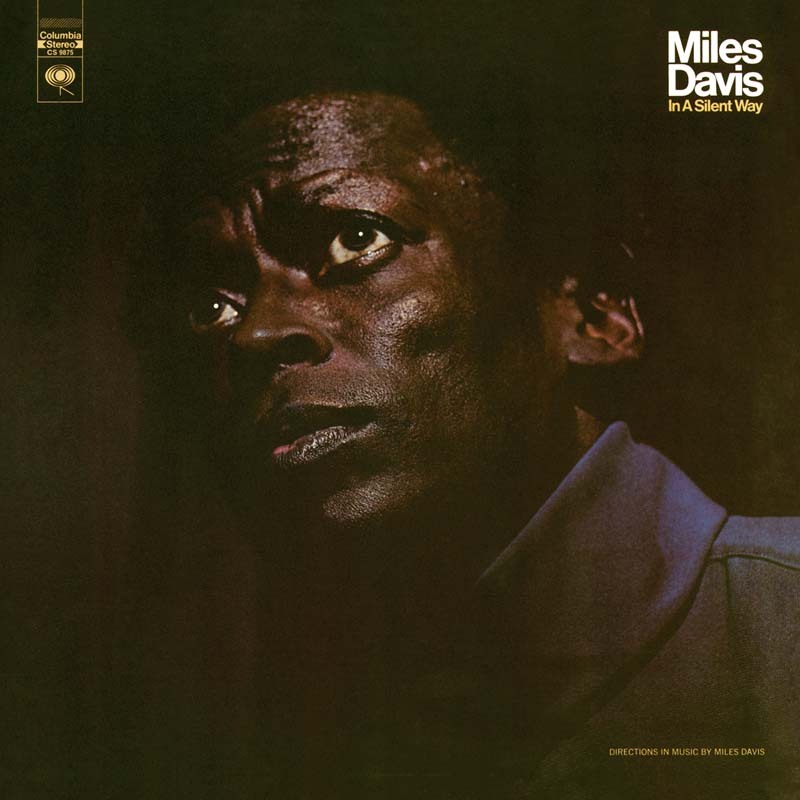 In November 68, Miles increased the number of sessions with multiple keyboards; his cursory directions reflected a radical return to the minimalism of the modal music of “So What” and “Flamenco Sketches” (N°10). Miles also revisited this style in February 69, adding guitarist John McLaughlin. The tapes turned as the piece started off, and the producer Teo Macero then cut them into segments, organizing them according to different themes. A long extract made up of two successive guitar and trumpet solos is spliced in at the beginning and end of “Shhh/Peaceful” as if it were a theme. Carried by the same single bass note and the regular beat of the Charleston cymbal, the whole track is bathed in the keyboards’ vivid nuances of blue. On side B, John McLaughlin, Wayne Shorter and Miles Davis successively present a theme by Joe Zawinul (“In A Silent Way,” stripped by Miles of all its chords). The producer Teo Macero added these three presentations, unchanged , to the end of the side. Thirteen minutes into the piece, the dark blue monochromic tone between the opening and the coda suddenly explodes with a blood red intensity.